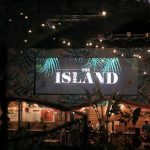 The Island has no door charge (ie. 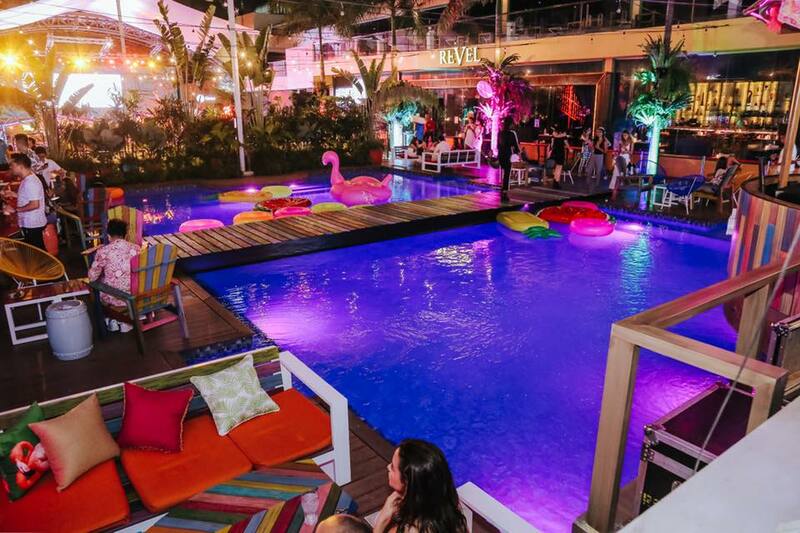 free!) 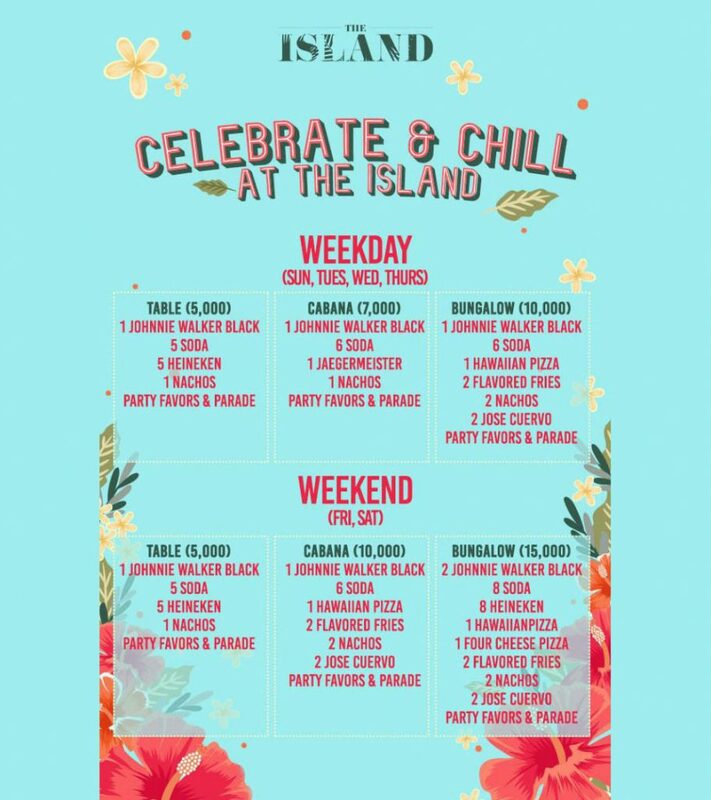 and no dress code! 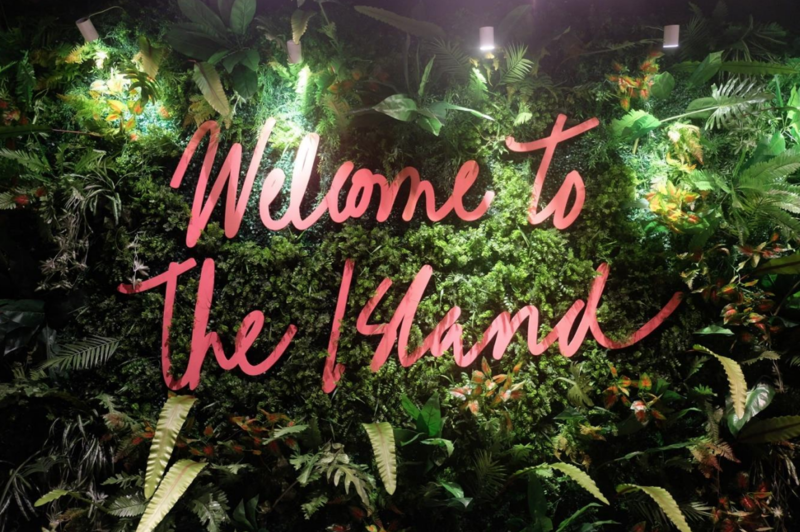 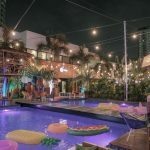 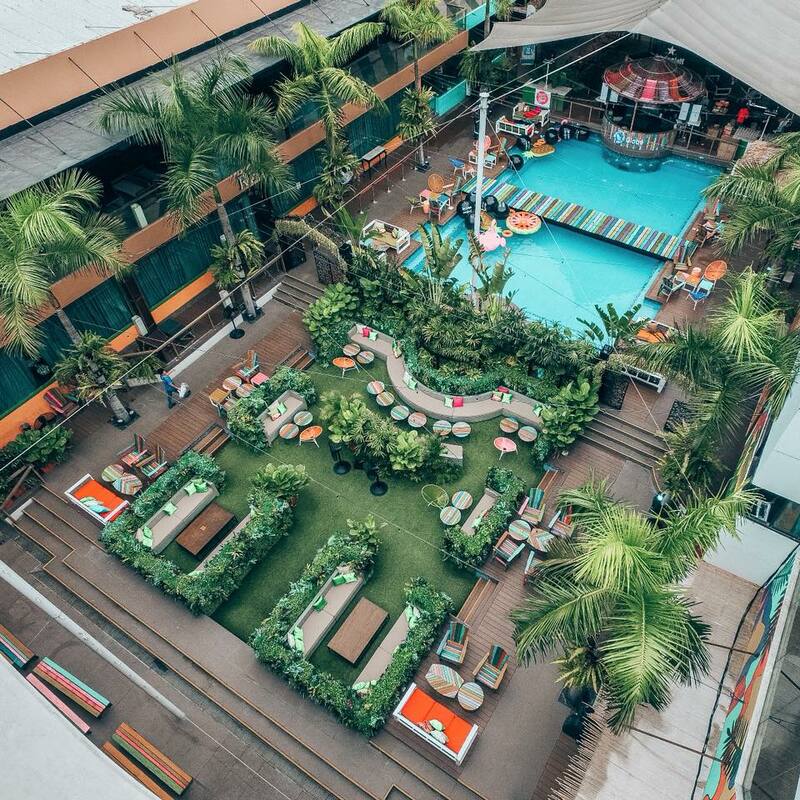 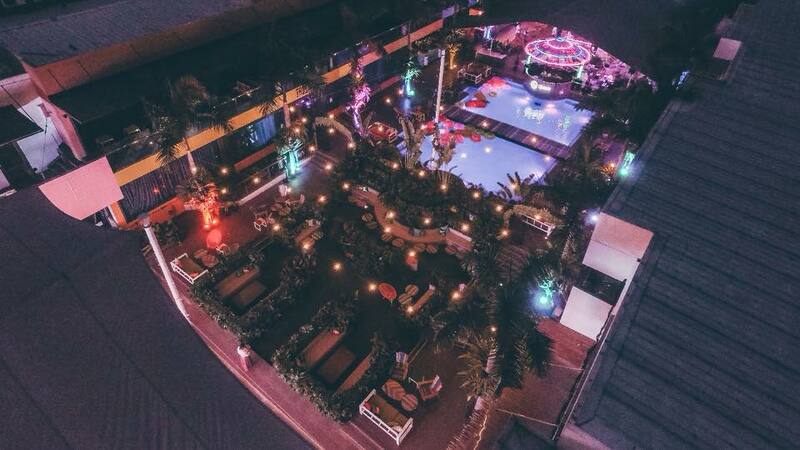 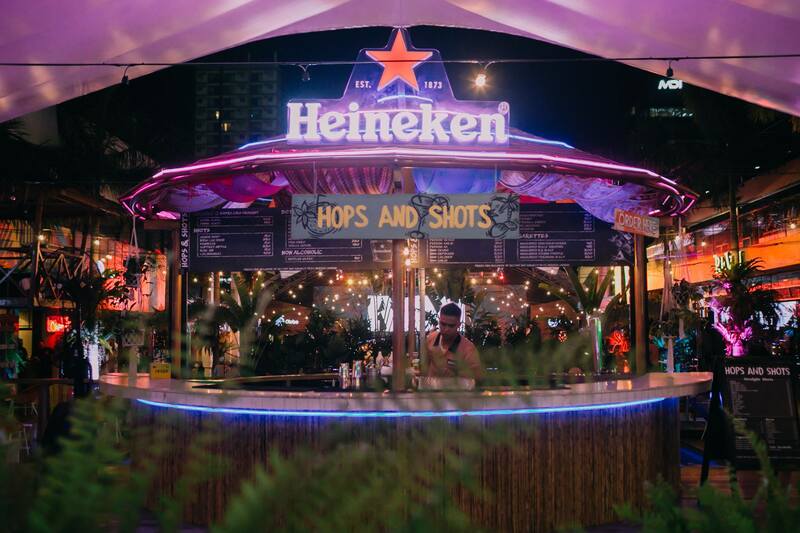 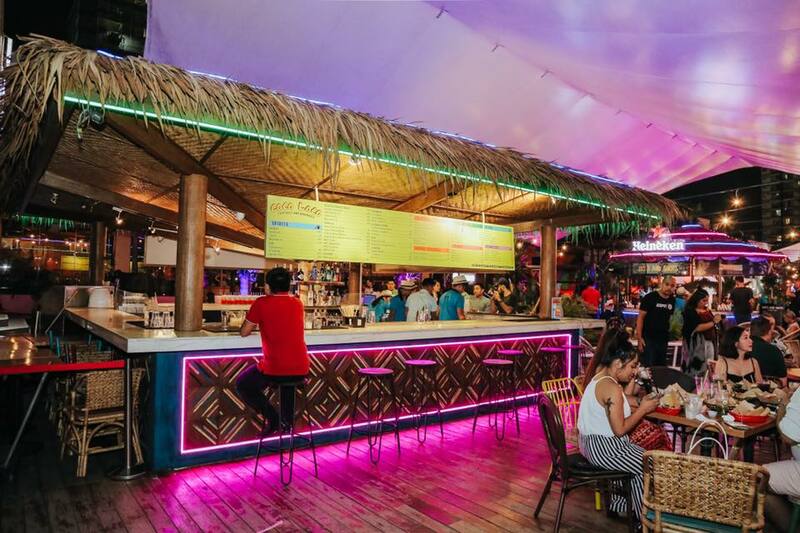 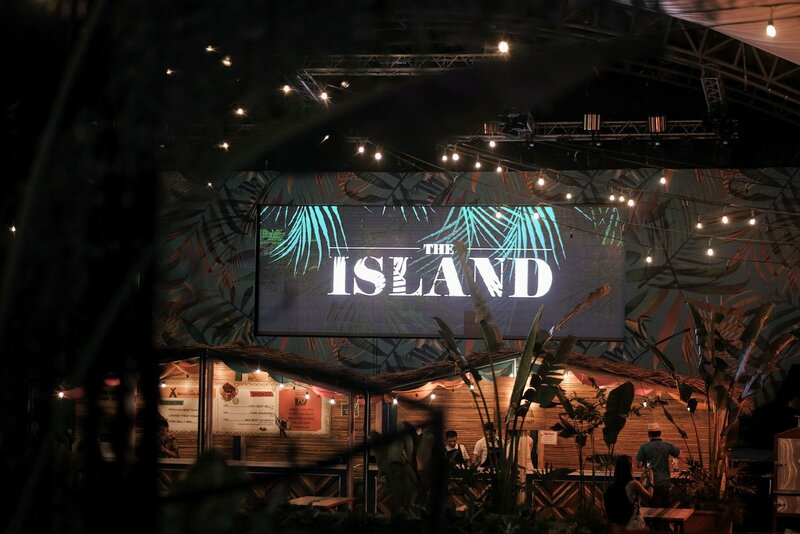 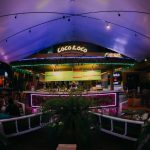 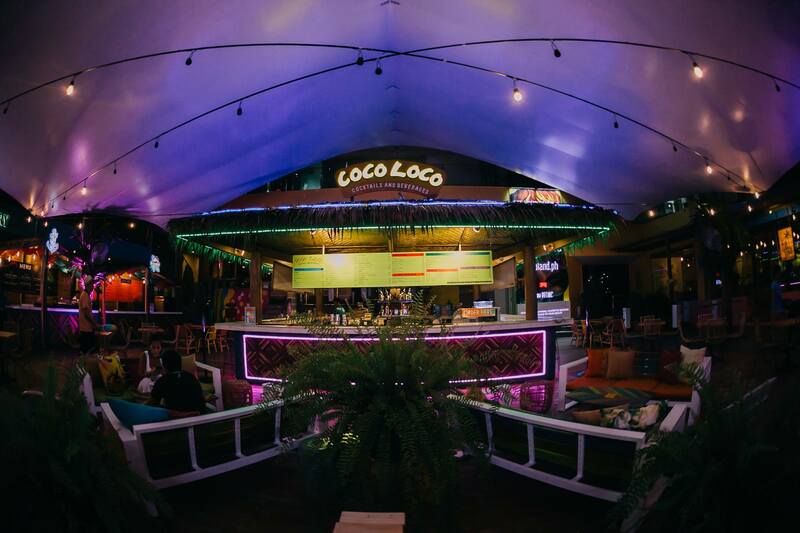 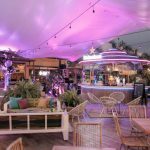 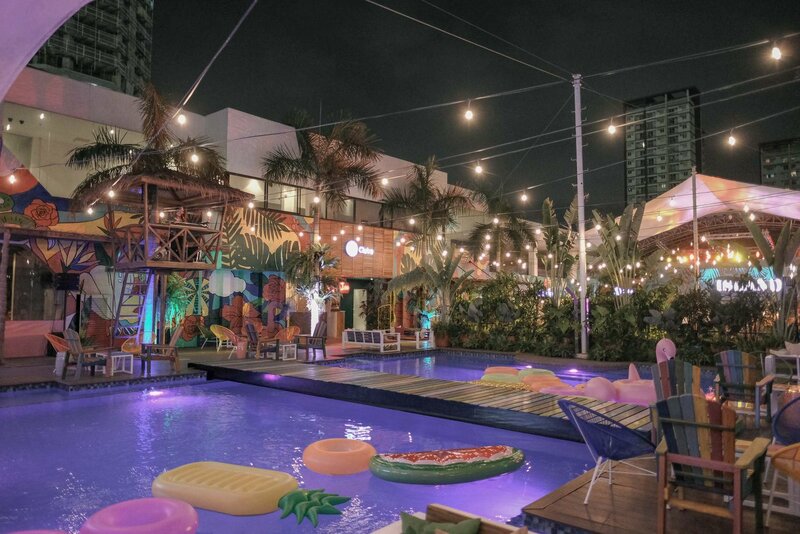 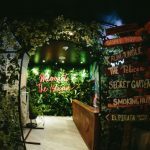 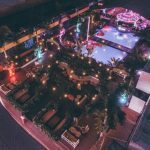 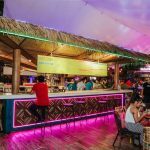 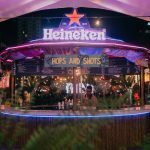 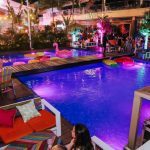 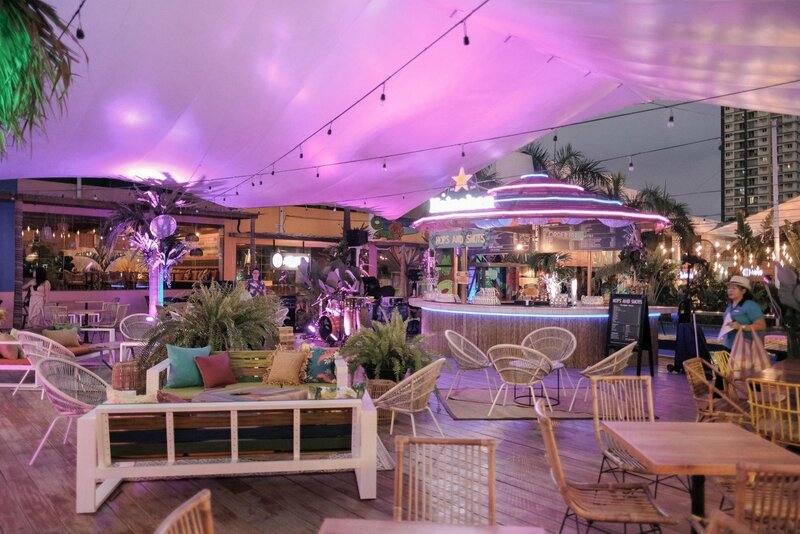 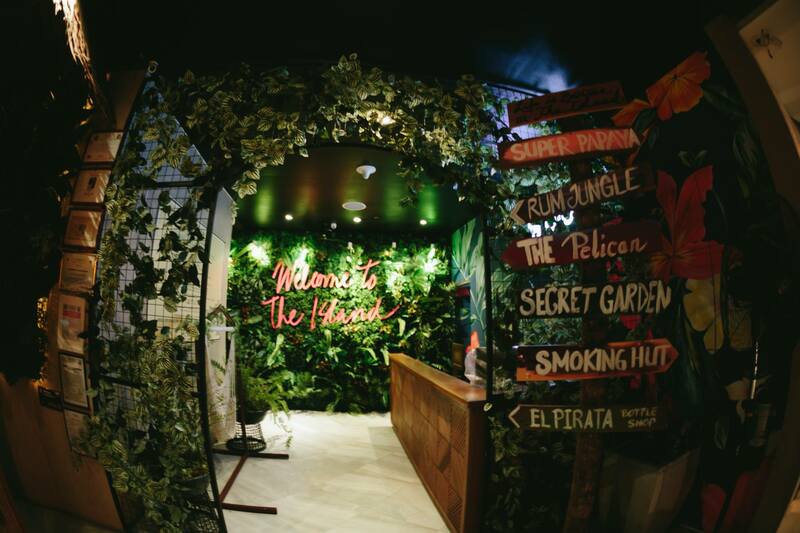 It’s the first “nightlife market” style in the country with a tropical paradise theme. 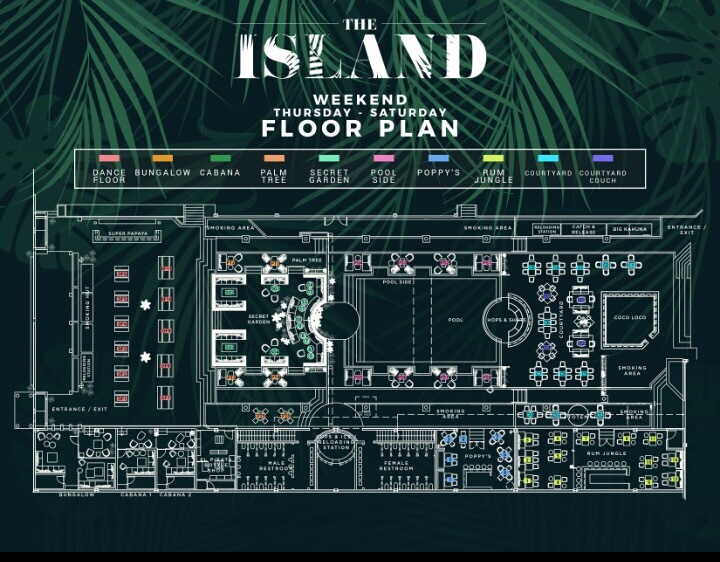 Here are the floor plan for weekdays and weekends and also the prices for tables, cabanas and bungalows. 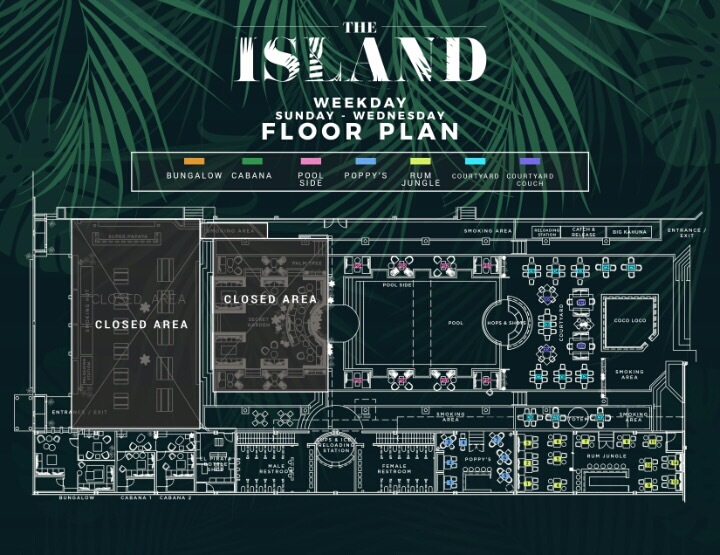 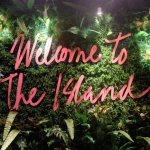 The Island Dress code: No dress code!